I am "October" in the 2018 Entomological Society of America Calendar. I just got my copies of the calendar in the mail, and thought to announce it here. I have davholla to thank, who announced here last Spring about the calendar. I decided to submit some pictures, and one was accepted! No one is more surprised than me. This is the picture that got in. 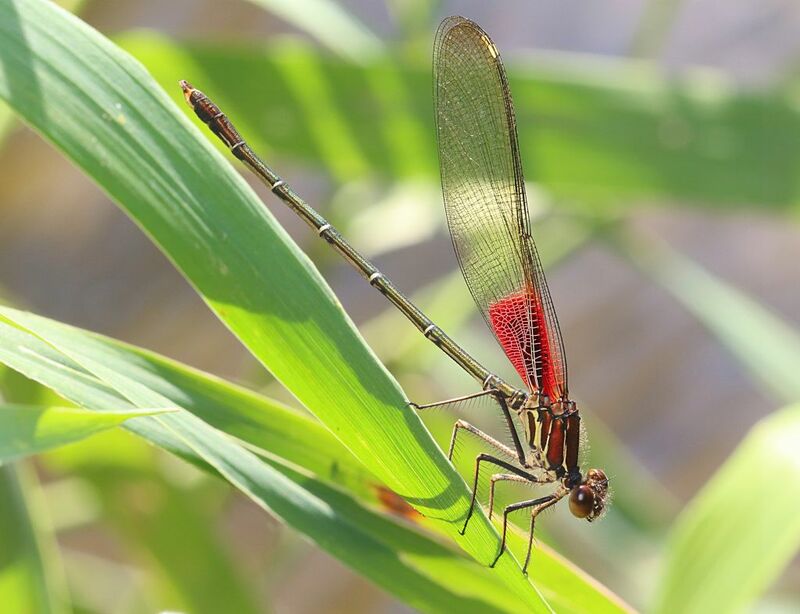 It is of a male American rubyspot damselfly. For that image, did you use (a single) on-camera flash? And was it taken with telephoto lens, or a macro lens? The butterflies in my area rarely let me use macro lens on them; I have to shoot at around 1 meter away with telephoto lens. Thank you. Canon T5i crop sensor body, Canon 100mm f/2.8 L lens. The flash was a Neewer flash, mounted on the camera with a medium sized diffuser. I think I used fairly low flash power to mainly fill in details, letting natural light do much of the work. Damselflies generally move off when I get into range. But I get comfortable and just sit there. They have their favorite perches, and after a few minutes they sometimes come back in to where they were. Some will then just sit there and let me do my thing (this one did). Others won't be as easy. Some butterflies let me use the macro. Others require the telephoto lens. For me it is trial and error with them. Of course time of day and temperatures have a lot to do with it. Congrats Mark, that's way above the standard damsel picture. Well done! I agree, great capture, congrats ! The color of the damselfly makes a very nice contrast to the green. Really pops. Very nice light and composition and excellent overall sharpness.